Whether you have bought a used or salvage car at an auto auction, or are relocating, hiring a reputable car shipping company is important to make sure your car is shipped safely. You may also look for door-to-door car transport as it offers greater convenience compared to port to port shipping. Irrespective of the type of service you opt for, you would need to take a few steps to prepare your car for shipping, which we will discuss in this blog post. Read on. 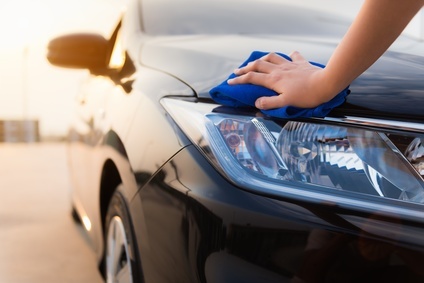 Wash your car’s exterior thoroughly to prepare it for transportation. This allows you to get a clear image of any damage on the vehicle before transportation and helps you to compare the car’s condition on delivery. Check its interior, such as seats for stains or any other sign of damage. Take pictures to document the actual condition. Make sure it does not contain any valuable products that may result in damage to your car or theft. Clean its interior and remove loose items, if any, which may fly around and damage the car during transportation. The weight of a car is a major factor that affects a car shipping quote provided by car shipping companies. Draining the fuel tank or leaving just ¼ fuel in the tank helps you reduce its overall weight. It is, therefore, a good idea to drain the gas tank to make the car shipping process easy and affordable. It is important to disable the alarm system of your car before you hand it over to a car shipping company as it can trigger anytime during transportation. It will not only affect the convenience but will also damage the battery of your car. Disabling your car’s alarm system, therefore, not only helps you to transport it conveniently but also keep the battery full. If you have installed any custom accessories in your car, it is a good idea to remove or cover them up to avoid damage to your car. It also helps to make sure that all the custom accessories are secure. It is important to prepare your car for transportation before handing it over to a car shipping service provider. Consider the steps mentioned in this blog and browse for a reputable door to door car transport company Check website rating and customer’s feedback section and ask for car shipping quote individually to shortlist a few. Compare the shortlisted websites based on their customer feedback and quotation and finalize a one. Before finalizing, it is always good to ask for a detailed fee structure to avoid hidden expenses and get your car delivered safely. If you have any questions or concerns, feel free to connect with our support team.